If you have used the output caching facility from the core ASP.NET platform, you are in familiar grounds. The OutputCache filter in ASP.NET MVC uses the same output caching facility and cache’s the output from an action method. Since the output is cached, subsequent request to the same URL are served using the same cache. Needless to say, this offers performance benefits especially for requests where database queries are involved. provides OutputCacheAttribute which can simply be applied to any Controller action or even to the entire Controller class. By default, the content is cached with an absolute expiration time of 60 seconds. You can change this duration by modifying properties of the [OutputCache] attribute such as the Duration. However when memory resource become low, there is no guarantee that content will be cached for the amount of time that you specify. Keep the rest of the settings default. Now if you observe the Views folder, you will see a new folder with the name of controller. Product and Index.cshtml file got added to this folder. 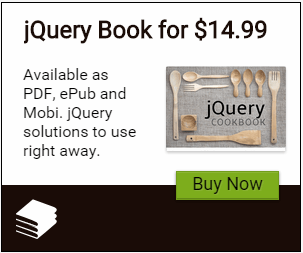 In the above code, we have created an object of ShoppingContext and we are querying the Products table using a LINQ Query under Index method. We are also passing the result of the Query to our view, so that we can display the data from the Products table in our Product’s Index view. Modify the above view by removing the Links like Edit, Details, Delete and Create New. We will also display the Modified Date and Time of the products. Now try refreshing the page and you will see the time gets changed with every refresh. With every request for the Index view, the action method Index under Product controller is getting executed and each time the database query also getting executed. Assuming that there will be some situations where we will be adding/modifying/deleting the existing products, can we increase the performance of our page? Duration – Duration is specified in Seconds. VaryByParam – Vary caching using parameters like Query String. Now let’s run the page and check the output by refreshing it multiple times. The page should be cached for 1 minute. In the above image, we are passing ID=1 and ID=3 as a query string with our Product URL and the output is changed. There are several locations where you can cache the output. We are setting it to the Server where the request is processed. The default location value is “Any”. You can also make use of SqlDependency to invalidate the cache when the cached data gets changed on the Server side. 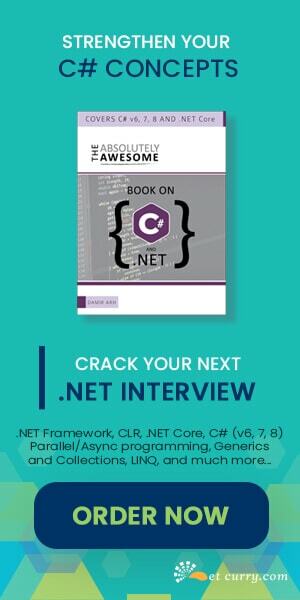 Summary – In this article, we have seen how to use ASP.NET MVC OutputCache action filter to cache the output of the controller method and also vary the caching based on the requirement. While ASP.NET MVC has the attribute "OutputCache" which you mention, it doesn't always meet the expectations needed. 1) Control over the cache object. 2) Ability to add extra logic. Like enabling/disabling the cache or features of it on runtime. 3) Logic to manipulate the output before/after caching. 5) Use the cache object/structure at other parts of the project as well. I recently wrote a blog post on creating your own Custom Output Cache in ASP.NET MVC which meets the 5 criteria mentioned.